Synopsis: The story is about a self discovery journey when two person swop bodies after an accidental electric shock. Edison, who match-fixes for a living, and Maxiao, a principled sports journalist, dislike each other for every reason. After the body swop, they started to plot against each other, causing a “commotion” in the boxing world and revealed secrets of match-fixing in boxing games. They got into a lot of troubles. Finally, under the supervision of a Master, Zhang Zhuju, they start to fight back against the vicious powers using their fists. 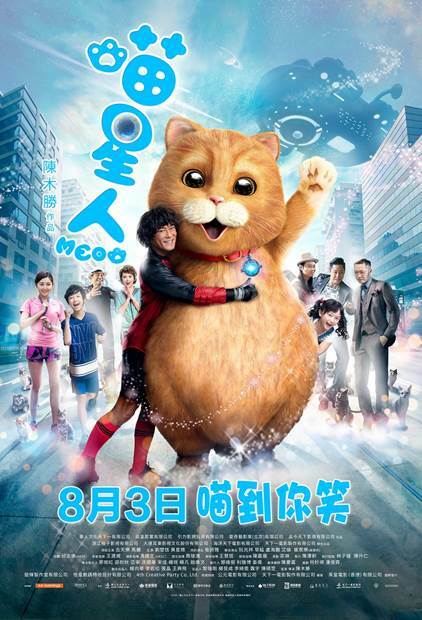 Allen Ai Lun and Ma Li may not be immediately recognisable names as say Jackie Chan and Pierce Brosnan or even Donnie Yen and Andy Lau, but the duo from the stage comedy troupe Mahua Fun Age handily beat their other celebrity counterparts to claim the box-office crown over China’s lucrative Golden Week holiday with their latest outrageous body-swap comedy. 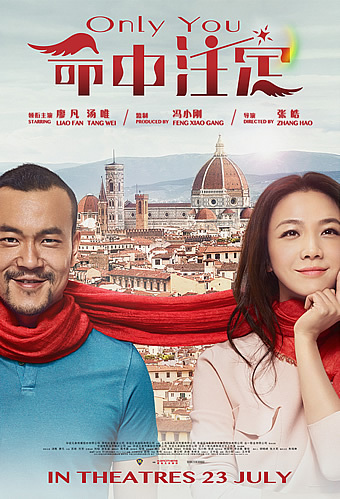 Based upon their 2014 play of the same name, the premise has Ai Lun’s disgraced MMA fighter Edison switching bodies with Ma Li’s sharp-tongued sports journalist Maxia following a personal confrontation that results in them locking lips while falling into a rooftop swimming pool one stormy evening. It isn’t the most original conceit we’ll give you that – in fact, their earlier 2015 box-office hit ‘Goodbye Mr Loser’ had also employed a similar premise but within the same person’s younger and older selves – but spirited performances from both actors make this slapstick-driven laugh-fest mostly enjoyable from start to finish. Broadly structured into three parts, the first third trades in the sort of gender-bending laughs you would expect from its very setup. Instead of the elegant sophistication we see in the first few scenes, Maxiao transforms into a loud, boorish and even tomboyish figure; on the other hand, Edison loses his self-confident poise and becomes an effeminate coward you’d love to dislike. Both actors do the obligatory coming-to-terms-with-their-predicament scenes with great comic timing – a montage that sees them return to where it started with taser batons in a vain attempt to reverse the course of lightning is thigh-slapping hilarious; so is another sequence where Edison exploits the gender of his physical body to enter a female-only spa for his own personal amusement. 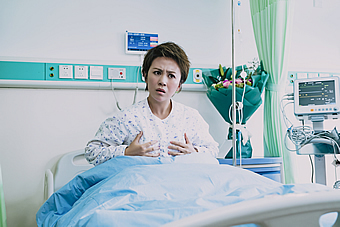 Not all though is played for laughs; not only will Maxiao get to learn the less-than-savoury secrets of her MMA champion of a fiancée Wu Liang (Xue Haowen), she will also realise how she has been unwittingly complicit in his deceitful plan three years ago to ruin the reputation of then up-and-coming fighter Edison after intentionally breaking his left arm during their match. Oh yes, it becomes clear early on that Wu Liang will be their mutual enemy, and to prepare herself – I mean, himself – to defeat Wu Liang in the ring, Edison will take the advice of his fight promoter Ma Dong (Tian Yu) and journey up to the mountain to find the master of the reclusive Curtain Lotus kung fu sect. As convention would have it, their subsequent training with the Vice Master (Teng Shen) will involve seemingly ridiculous acts such as engaging in a staring death match with a hawk (that will last a couple of sleepless days and nights), attempting to slot flyers onto speeding vehicles along an expressway (hint: it doesn’t go on the windscreen), and last but not least deflecting two different types of coloured fish left and right with one’s palms while standing in the middle of a stream (ok, this one’s pretty clear that it’s about the reflexes). 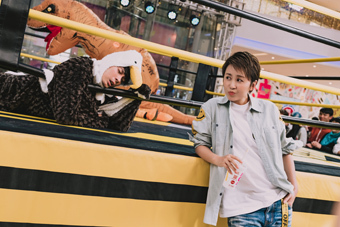 The middle act with its ‘mo lei tau’ jokes feels like it belongs better in a Stephen Chow comedy, but there are a couple of good bits here amidst an otherwise unnecessarily extended and altogether less than engaging detour into the wilderness. In contrast, the final third sees the plotting go almost into overdrive, what with Edison staging a stunning comeback through a series of knockout wins to earn the climactic match against Wu Liang and the latter countering in his usual conniving ways in order to ‘fix’ his showdown with Edison. That piece de resistance set in the heart of Macau’s glamourous Studio City is quite thrillingly choreographed and staged, though purposely engineered to milk our audience sympathy for Edison before his expected triumph. There are hardly any laughs to be found in this last stretch, which is supposed to drive home the message encapsulated in its title – especially in the last two fights, Edison gets plenty of bruising, battering and bloodying, but never yet yields to his opponent through sheer grit and inner steel. It must be said though that while the narrative certainly intended for him to be a formidable fighter, Allen’s consistently less-than-muscular physique means that there is a fundamental disbelief about his competency vis-à-vis clearly more well-toned challengers. Compared therefore to ‘Goodbye Mr Loser’, their spiritual follow-up is somewhat less entertaining, no thanks to a strong start that is subsequently undermined by a sluggish middle and an overcompensating finish. 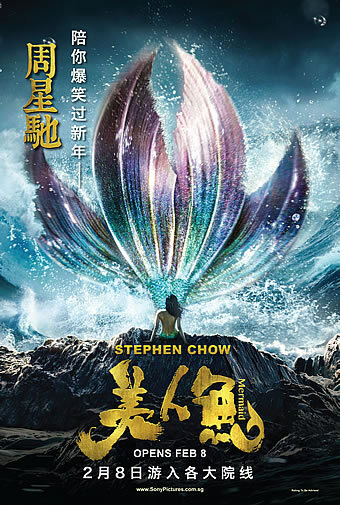 There is punch and pace to the jokes and storytelling at the start, but first-time directors Song Yang and Zhang Chiyu seem unsure how to sustain the energy for the film’s entire length, eventually resorting to the sort of low-brow farcical humour that cheapens the movie and feels rather incongruous with its other true-to-life parts – and by that, we don’t mean the jokes where you know for sure were made squarely with the Mainland Chinese audience in mind (much like how some of the gags in our Jack Neo comedies won’t resonate with a non-Singaporean audience). 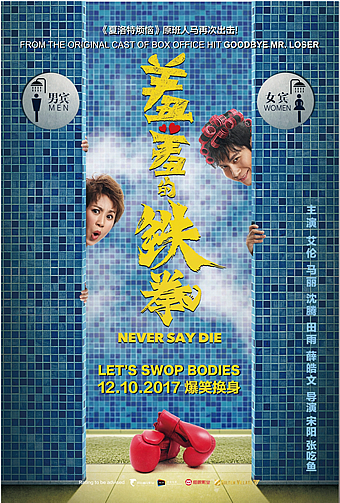 Like we said at the start, it is Ai Lun and Ma Li’s lively performances that ultimately sustain the film, especially in playing against gender stereotype following their body-swap. It hardly is a winner like their previous 2015 runaway hit, but neither is it a loser by any measure, so if you’re in the need for some broad laughs, this should do the trick.